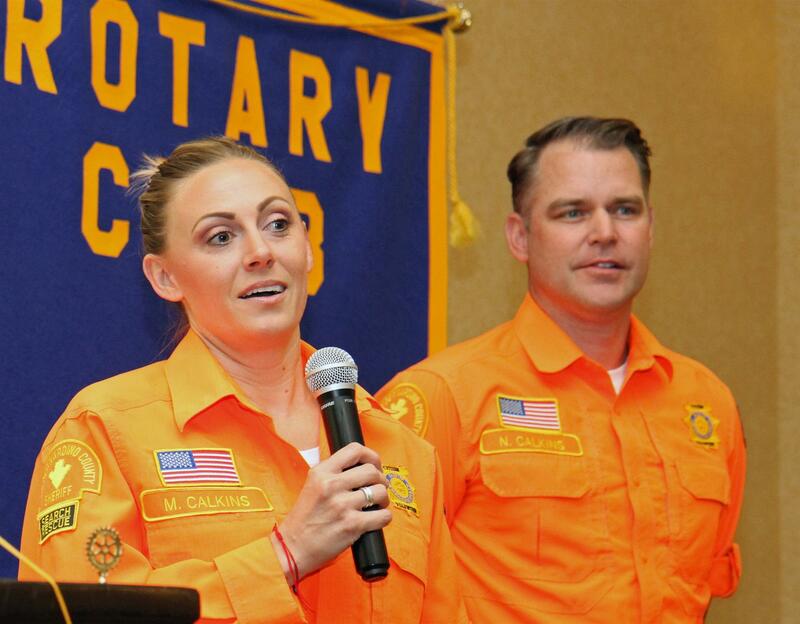 Michelle and Nate Calkins did the annual Search and Rescue report today. The group is funded entirely by donations, and works with the Sheriff’s department to help I all kinds of situations. They report that the advent of cell phones and GPS has lowered the incidence of lost people – but they still work a lot to help bring people back! Michelle told us her story of the first search she went on – 2 girls got lost in the Deep Creek area. The team went out to find them at around 1am, and found them an hour later. After camping for the night with them, they walked out the next morning. They keep looking for the missing German – but as yet no luck. The team has 26 people, and is 100% volunteer. They are activated by the Sheriff, and can do operations on foot, by horse, using dog and even in an airplane. Quite a group, and we’re fortunate to have them!